On my last visit home, I visited the Belfast Zoo with my sister and her family. The zoo is set in dramatic grounds on the slopes of Cave Hill, overlooking the city and the Belfast Lough beyond. Marooned within the zoo’s gardens, lies the decaying ruins of a 1930’s dance hall. Before the expansion of the zoo, the Floral Hall had been the centrepiece of the Bellvue Pleasure Gardens; a recreational area commissioned by the Belfast Corporation to encourage the use of the city’s tram network. The venue was initially a huge success, attracting hundreds of thousands of visitors each year. 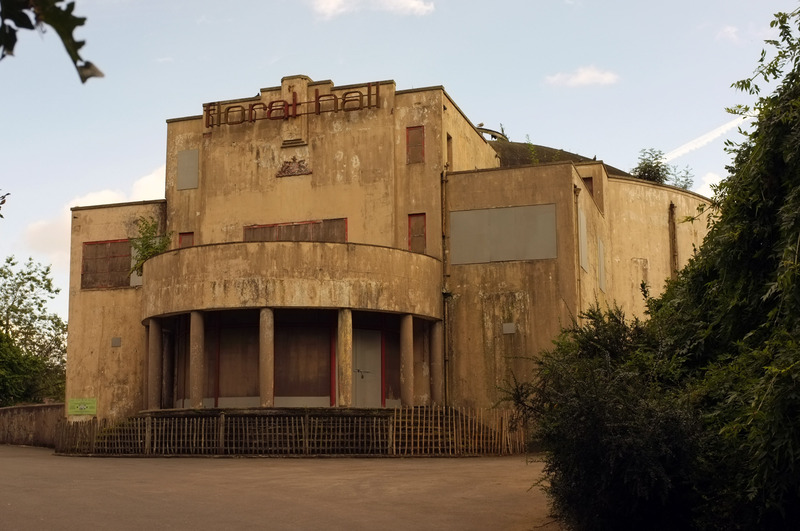 In the late 60s and early 70s – as the Show Band era came to a close and The Troubles began to take their toll – the hall’s popularity declined rapidly. 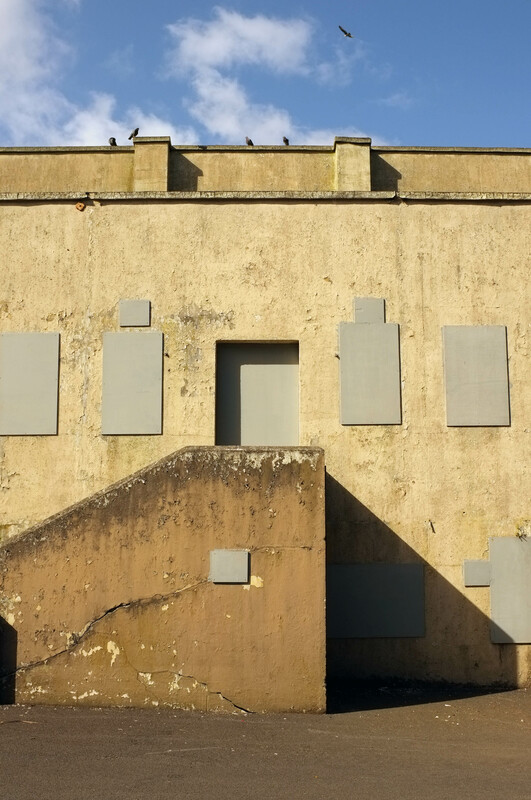 It was finally closed in 1972 and has since fallen into complete disrepair. 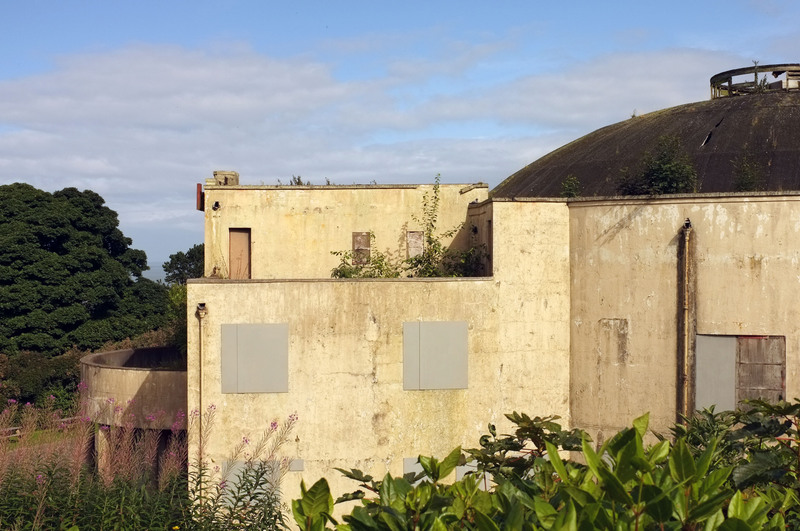 After 40 years of dereliction, funding has finally been arranged for the restoration of the hall, which is to be reimagined as a wedding venue and educational facility for the Zoo. 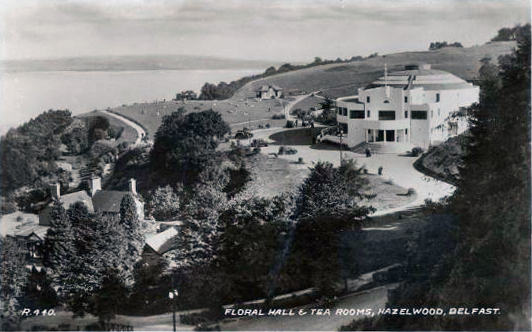 “The Floral Hall is an imposing white domed building nesting in the sheltered area of the Hazelwood Estate. The hall will not only make a fine concert room and theatre but also a splendid ballroom. On plan it is a circle having a diameter of 85 feet, and the floor area is not obstructed by a single pillar. The roof is domed and partly filled with glass, and on the eastern side a row of white windows face the sweeping vista of Belfast Lough. The floor space seats 1,000 people comfortably. The front entrance, over which there is a portico, leads into a crush hall containing pay boxes and cloakrooms. Two staircases rise from the hall, one leading to a small balcony and the other to a cafe. The ground floor cafe is on the east side of the hall and occupies an outer strip of the circle and about one third of its radius. The stage opposite the main entrance measures 30 feet by 25 and is 22 feet high. At the back of it is a green room, two dressing rooms for men and two for women. A basement below the stage contains a chair store and a heating chamber. The small balcony seats 50 people, and above this there is a projection room for cinema or special lighting apparatus. Off the balcony is a lounge. Along the side of the hall and outside it there is a concrete space with glass roof for use as a public shelter.